The regent got dressed up! He looks festive in the black and gold uniform. His jacket is richly decorated with golden epaulettes and a gorgeous edging, held together by a wide belt with a big buckle. 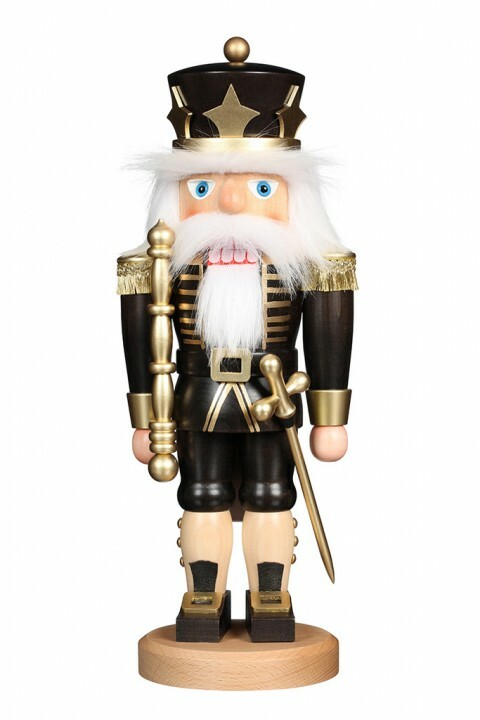 The golden scepter and the sword underline the representative appearance of the nutcracker.